The continuing violence in Egypt as the military dictatorship tries to eradicate all opposition is a terrible reminder of what can go wrong when democracy is overthrown. The current crisis in Egypt has also once again exposed the bankruptcy and hypocrisy of our Western governments. Where were the ringing denouncements of the military coup? Instead the most we got were some half hearted misgivings. 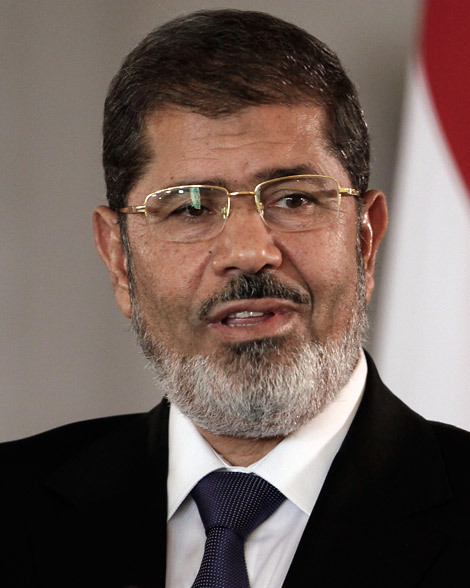 One does not need to like or approve of President Morsi to oppose his violent overthrow. One does not need to like or approve of the Muslim Brotherhood to oppose the banning of their organization. One does not need to support or approve of the Morsi government to oppose what has happened. The claim that the Egyptian economy was badly mismanaged by the Morsi government must ring rather hollow in certain parts of Europe. Just how bad must things get in the likes of Greece, Spain and Portugal for the West to support a military takeover in these countries? Not liking your government is the norm for at least half the population in all countries. Often a large majority dislike or disapprove of their government. I do not have any time for our nasty coalition in Westminster. But no matter how much I abhor the government I do not call for our generals to intervene and lock up David Cameron et al. I, along with my fellow citizens will get our change to vote the buggers out. But the so-called liberal opposition to Morsi in Egypt was not prepared to wait for the next round of elections. I wonder why? Did they think they might lose? At any rate to call for a military overthrow of an elected government is a very dangerous route to embark on. After all if this becomes the game, anyone can play. If President Morsi had attempted to do away with elections or subvert the constitution then there would be a case for his overthrow. But he had not done so and as far as I am aware there is no evidence that he was planning to do so. The current crack down is unlikely to usher in some kind of liberal dawn for Egypt. The previous military regimes were not known for their respect for the law. In all this it is up to the Egyptians to work out their future. What is in question for us in the West is how do we respond to a military coup against a democratically elected government? The answer it seems is that if we do not approve of the government in question then we do nothing. Even worse, we let it be known that we will co-operate with the military. What kind of message is this? Once again, if further evidence were needed, the West is exposed as a bunch of hypocrites. Preaching democracy and the rule of law and subverting it whenever it suits. The very least the West can do is to withhold all aid to the military regime until Morsi is released. Don’t hold your breath! The forced removal of Egypt’s President Morsi by the army and his subsequent arrest has met with mixed responses both in Egypt and in the West. There was clearly a lot of vocal opposition in Egypt to Morsi and the Muslim Botherhood government. But does this justify a military coup? And why has the UK and other Western governments been unwilling to call this a coup? It is hard to imagine that the UK would not condemn for example a military coup in Greece. Yet the situation in Greece is far from stable with strong opposition to the current government. The same could be said of Spain and Portugal. Yet nobody thinks it would be any kind of answer for the military to step in and arrest the government. Is their a whiff of racism here? We in Europe are democrats, while Arabs are not quite up to this yet? This seems to be the basis for most comment in the West. Yet Morsi was democratically elected President in fair and free elections only one year ago. While there is little the West or anyone else can do to stop the Egyptian military from mounting a coup, the West can loudly and roundly condemn such a move. 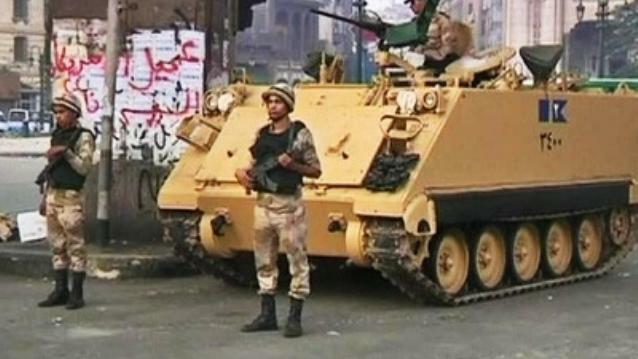 The West could also impose sanctions on the new military government until Morsi is re-instated. But clearly the West did not approve of Morsi and the Muslim Brotherhood. So why bother to help him in his time of need? Much better to stick with our tried and tested friends in the Middle East – those bastions of democracy and liberalism such as Saudi Arabia, Jordan and Kuwait. The West does not need to condemn these countries since they are not democratic anyway and this lack of democracy has never bothered Western governments in the past. There could be something healthy about this, if only our governments would admit it openly. Just get rid of the hypocrisy. For all our talk of promoting democracy, the West has never found it easy to accept the results of democratic elections when they result in governments that do not instinctively support the West. In these cases we are quite happy to support and even assist in their removal. Much better a tame and friendly dictator than a vibrant and potentially hostile democracy. So it is all too predictable that our governments in the West would turn a blind eye to what is clearly a military coup. It is not at all clear just what the millions of protesters hope to get out of this. To repeat the basic fact once again, Morsi was elected President in an open and democratic election. While it is legitimate to protest against this or that policy, it is never legitimate to call for an elected government to be forcibly removed. Last year the various opposition groups had their chance to get organised and present a united front against the Muslim Brotherhood. But here lies the rub. The opposition is far from united, other than opposing Morsi. It is not at all clear that another election, if the military allow one, will produce a different result. What evidence is there that the various deeply divided opposition forces can get together now that Morsi has gone? Which raises the question as to what will happen to Morsi and the Muslim Brotherhood? Will they be set free and allowed to run candidates in new elections? And if not, what kind of democracy will that be? The whole essence of democracy is that you win at the ballot box, not through the military. This of course assumes that the military allow new elections and allow free and fair elections. Their record on this account is none too promising. If violence and force is what counts two can play at that game. What happens if the Muslim Brotherhood decides to mount an armed struggle against the current government. Given the West’s support for the rebels in Syria, how would our governments react to an armed struggle in the name of restoring an elected President. The omens are not good for Egypt. This is primarily a matter for Egyptians. But it is sad that our government is so unwilling to condemn a military coup against an elected President. This is yet another very bad precedent for us to set.